Normally when someone buys a house with a forced air heating and cooling system, they pretty much expect the ductwork that delivers the air to be in perfect working condition. With today’s demands for the highest efficiency you may likely find that your duct system isn’t performing in the best way possible. Here’s an example: A 30% return duct leak on a hot or cold day can decrease your heating or cooling capacity more than 50%. That may sound extreme, but it’s not an uncommon condition. Maybe you are reading this because your heating and air conditioning professional has told you there are problems, or maybe you are reading this because you’ve concluded on your own there are problems. Either way, let’s take a look at what you should consider. The ducts also control how much air is delivered to each room. The right amount of air will keep the room temperatures where they need to be. If ducts are damaged, improperly installed, or the wrong size, they can cut your system’s ability to heat or cool by more than half on hot or cold days, — when you need it the most. Ducts move air, and air is invisible. So to determine if your ducts work or not, air properties must be measured. 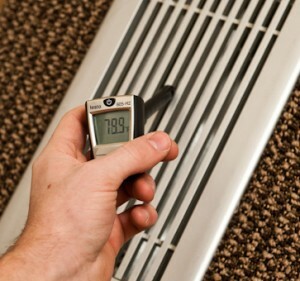 An NCI-Certified Professional can measure how much air goes to each room and compare it to how much is needed. He or she will also take other measurements — including temperatures and pressures — to determine how well your ducts work. Then your NCI-Certified Professional will review the results of the test with you. Unfortunately few have the knowledge or own the tools and instruments necessary to measure the performance of your duct system. If they can’t measure it, they have no idea how to fix it, or even where to begin. Most just assume the ducts are working fine. What Can Be Done To Improve My Duct System? The typical duct renovation includes removing damaged ducts, straightening them, adding proper suspension, and sealing all the joints. Sometimes larger ducts need to be installed to certain rooms or the registers and grilles need to be replaced. Your NCI-Certified Professional should review the test results with you and make recommendations for any duct repairs or additions. Other improvements might include adjusting fan speeds or improving your air filtration system. 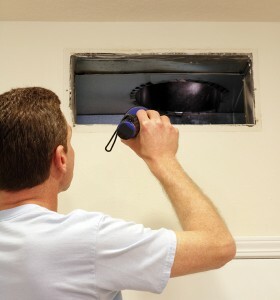 Some HVAC Professionals will offer to seal your ducts to improve efficiency. While duct sealing is definitely done as part of a renovation, sealing by itself cannot address many of the flaws in a duct system. In many cases, just sealing the duct can make the problem worse, as it could choke down airflow causing equipment failure, major comfort problems. In extreme cases, it has caused back-drafting of flues leading to dangerous carbon monoxide problems. An NCI-Certified Professional will first ask you questions about the system, what you like and don’t like about it, problem areas, air quality concerns, health issues, etc. He or she should then perform some preliminary testing to determine the condition of your system, the biggest problem areas, and so forth. This is generally performed using several instruments including a manometer which measures your systems pressure, much like a doctor checks blood pressure. He or she will typically measure the amount of air coming out of each vent with a special instrument called a Flow Hood. Other measurements might include temperature, humidity and carbon monoxide testing. has been completed. This step is called air balancing. Up to just 10 years ago, air balancing was performed only on large commercial buildings. 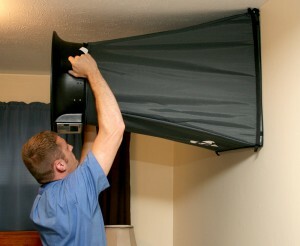 Today you can get this same precision adjustment in your home from an NCI trained and certified professional. He or she will provide you with a test report showing the final operating condition of your system compared to how it functioned before the repairs were made. In other words, your NCI-Certified Professional will prove that you got what you paid for – in writing!